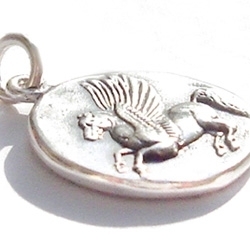 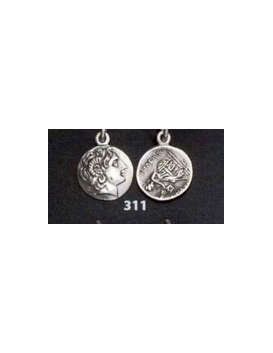 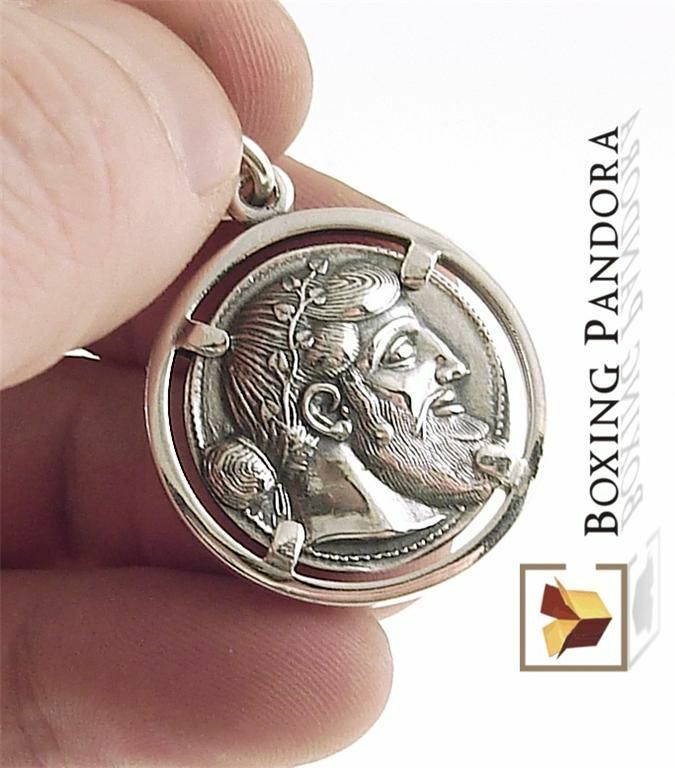 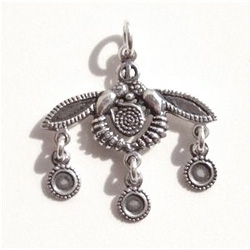 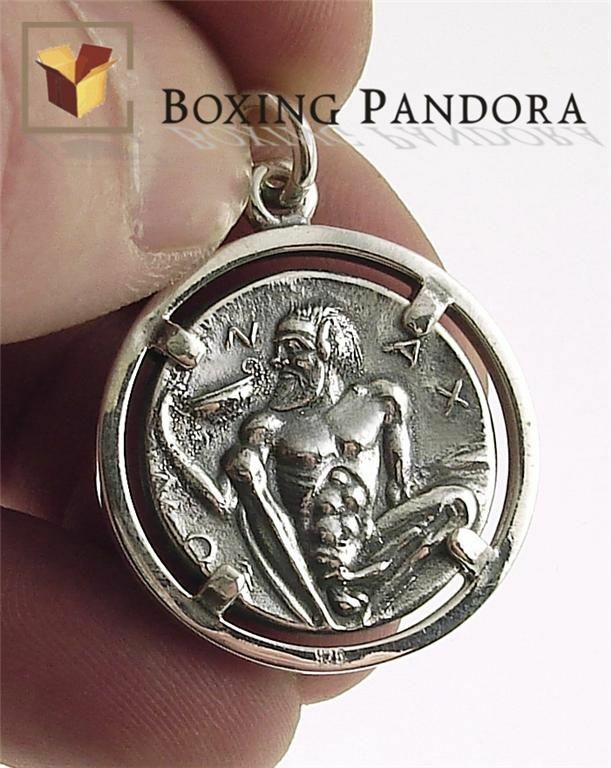 This fine pendant was made from skilled artisans specialized at creating Ancient themed jewelry. 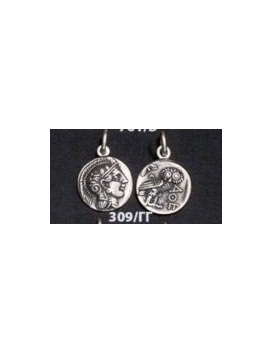 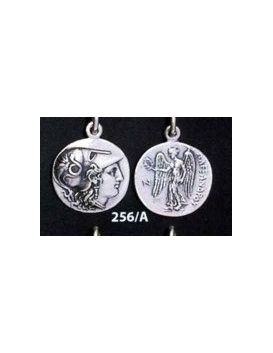 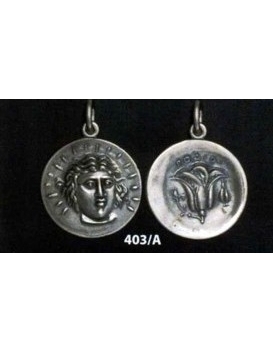 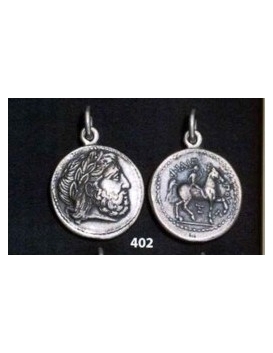 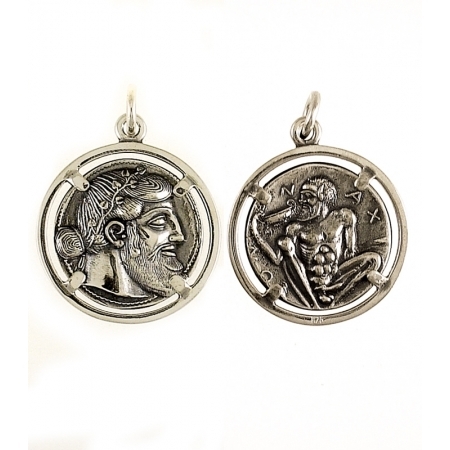 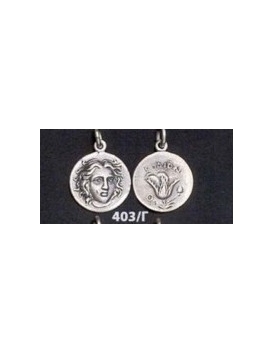 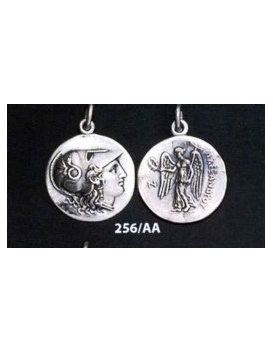 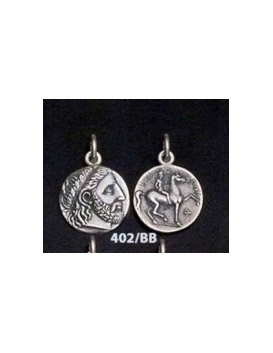 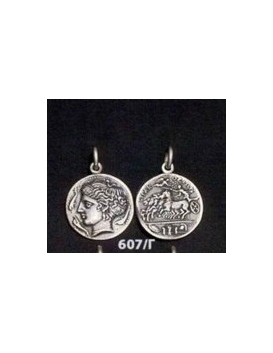 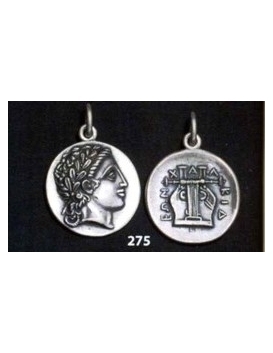 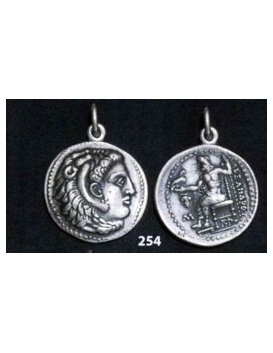 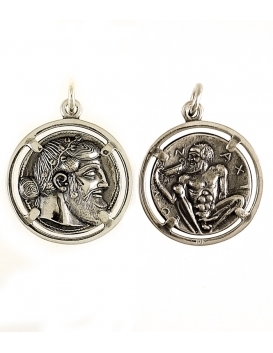 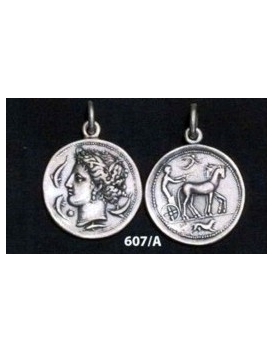 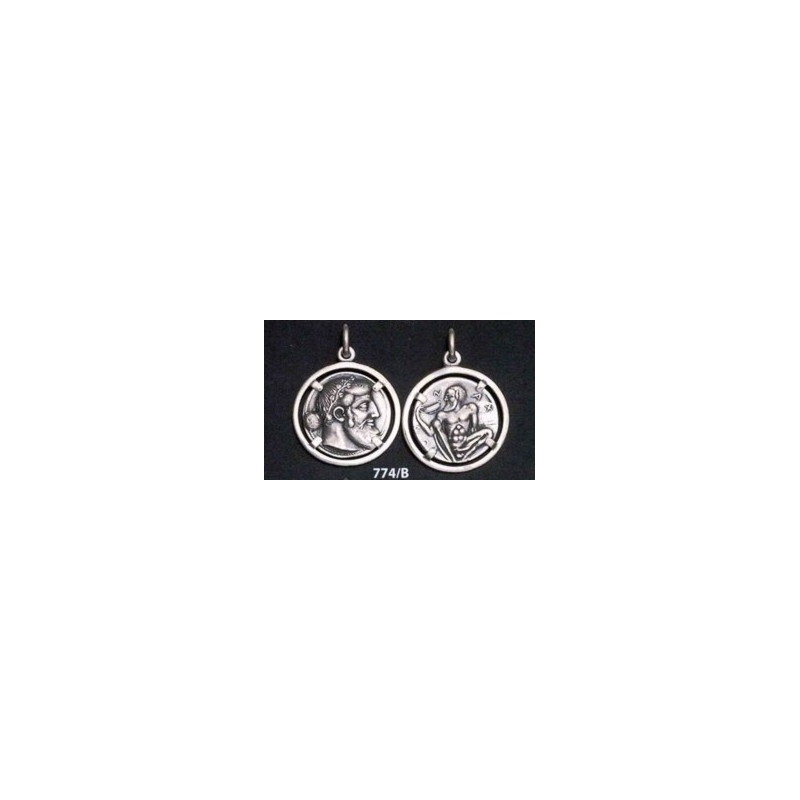 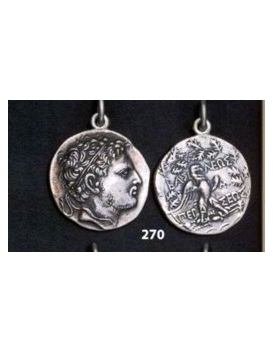 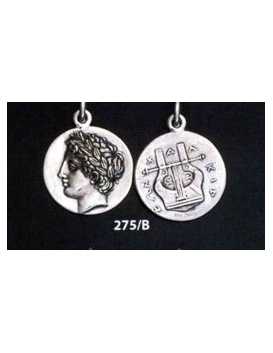 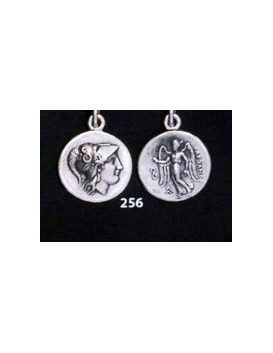 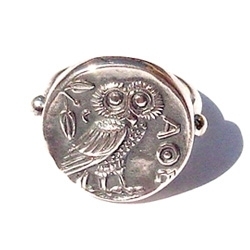 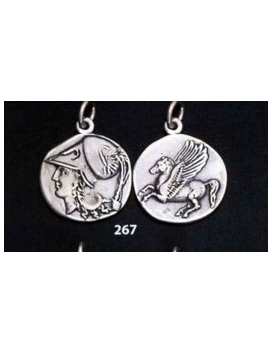 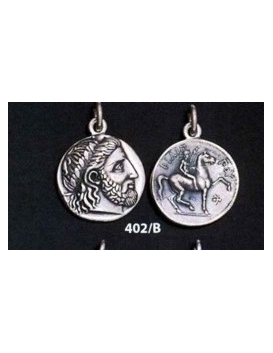 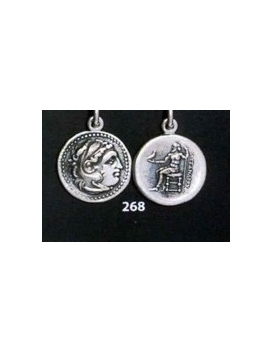 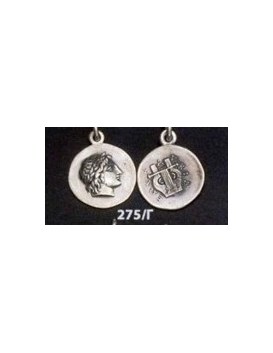 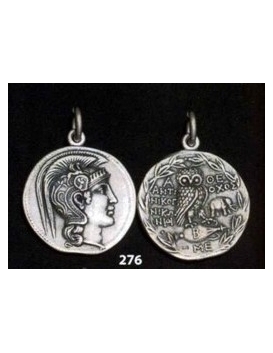 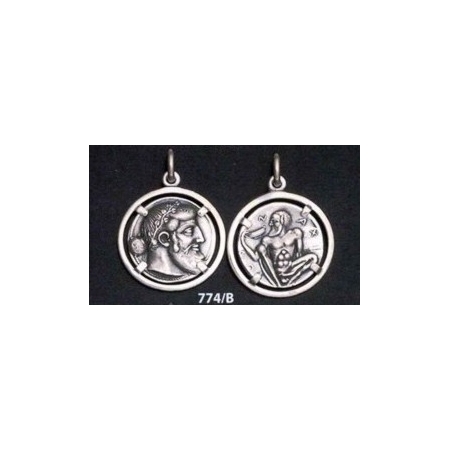 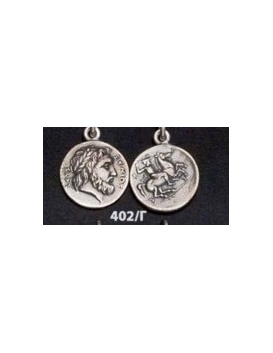 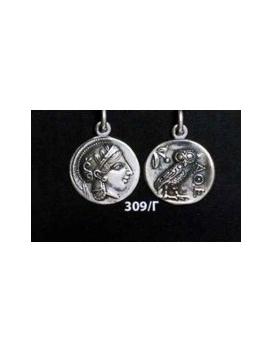 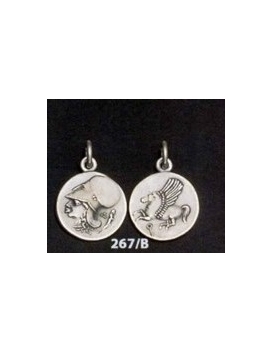 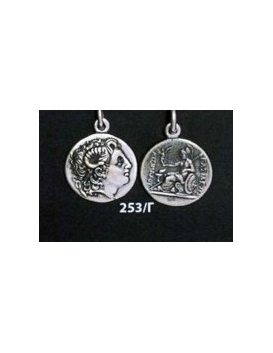 By employing the highest possible level of skill in ancient artifact representation, our workshop is known for it's outstanding silver and gold reproductions of antiquities since 1928 among coin enthusiasts worldwide. 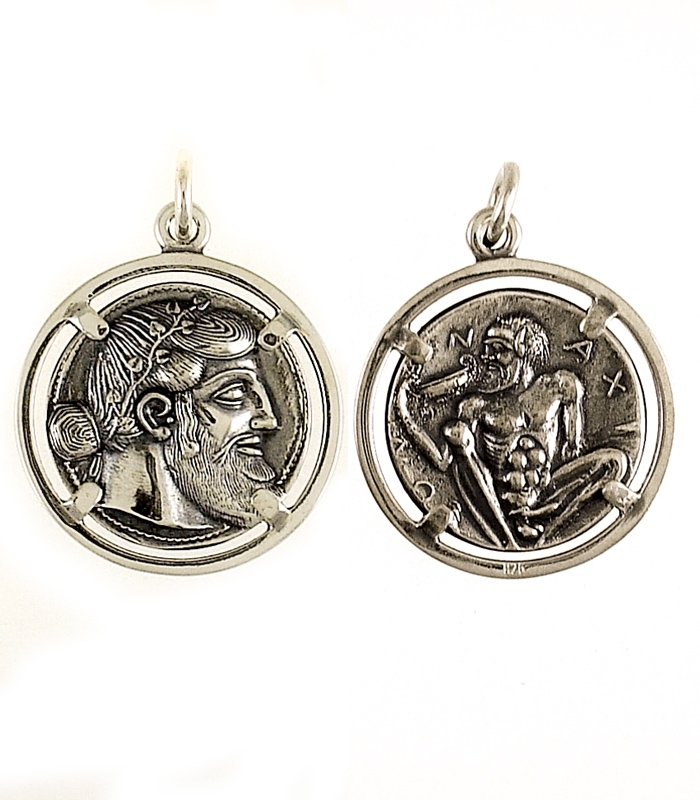 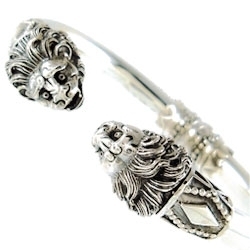 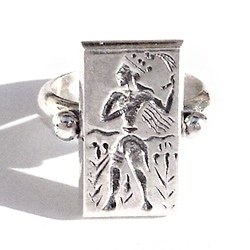 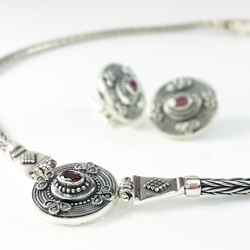 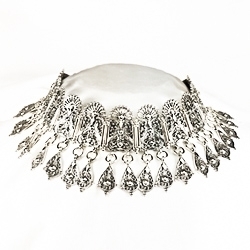 We consistently utilize a number of ancient silversmithing and hand-made techniques in order to match the clarity and quality of ancient craftsmanship in our own silver. 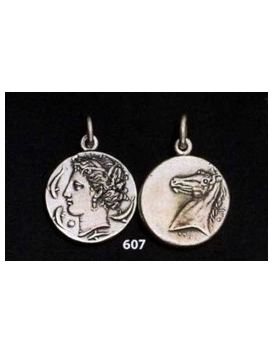 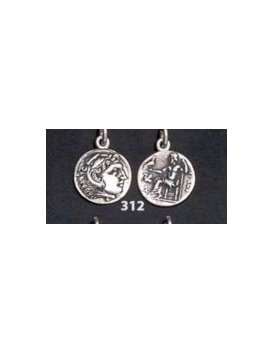 Ancient coins cannot be reproduced so finely any other way. 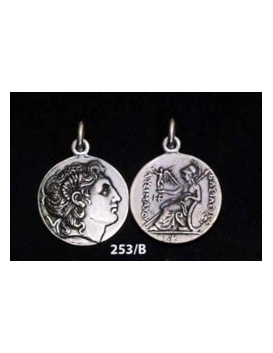 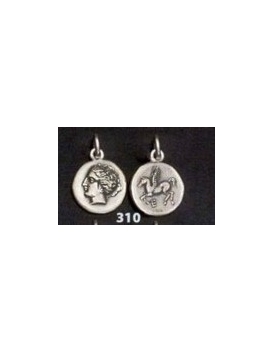 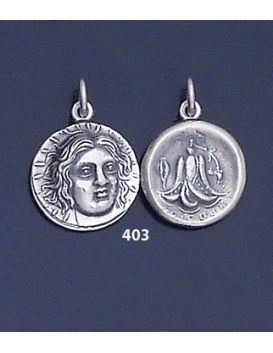 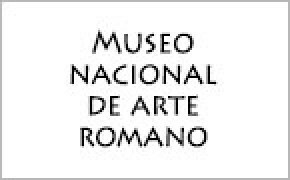 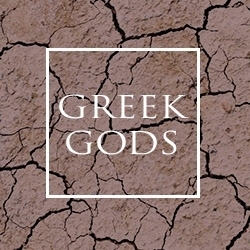 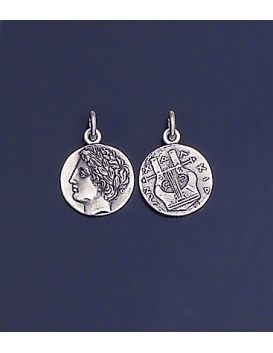 The coin is characterized by collectors as one of the most celebrated coins from antiquity and a masterpiece of an engraving. 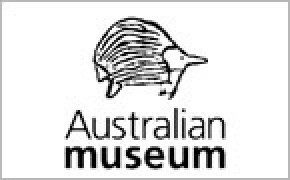 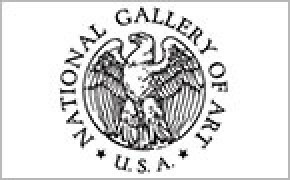 Originals are valued from $15000 - $30000 depending on condition.